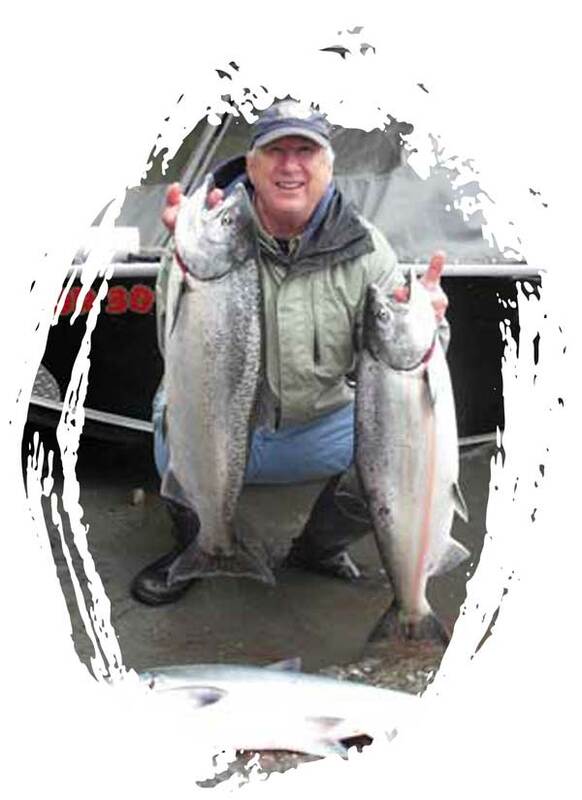 EARLY Fishing Guides - Oregon king salmon & steelhead fishing, Rogue, Chetco, Smith River, drift & power boats. Mid Summer signals the time to seek beautiful salmon on the Rogue River. First trolling in the bay and moving up the river later in the fall. We fish from drift boats and power boats. These fish are typically bigger than the springers with fish up to 50 pounds at times. Both back-trolling and back-bouncing techniques are used to lure these salmon into a fight. Fall is also when our shorter, coastal streams get their returning salmon. The Chetco River in Oregon as well as the Elk and Sixes River have simultaneous runs of salmon that produce fish averaging 20-25 pounds but it is not uncommon to hook into a 45-50 pound lunker! That's when your work is cut out for you. These short coastal streams produce the brightest fish since they are just a short distance from the salt water. The rivers vary a bit but tend wind down in mid-December and run right into the beginning of the steelhead season. Salmon fishing along the Oregon - California coast gets started for the year with the mighty "Springers" of the Rogue River. 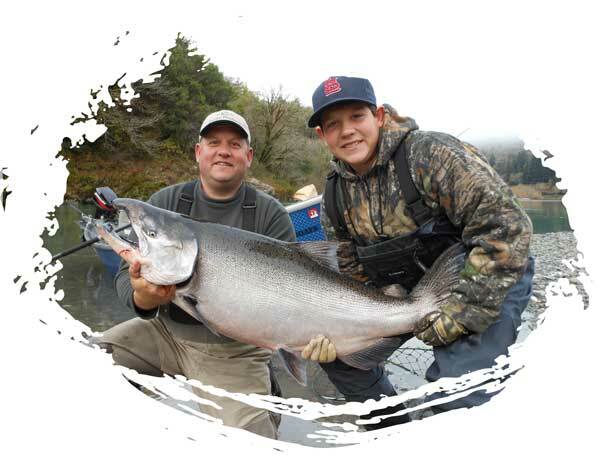 Known for their incredible fighting ability and their "chrome" bright, shiny sides, these powerful king salmon make their way up the infamous Rogue River starting in March. Prime time for this fishery is April - May. We fish from covered power boats that easily take you where the fish are. Springer fishing is more of an anchor fishery than using back trolling techniques. We anchor along the sides and wait for the fish to arrive. We may try several spots in a day or stick with the best known spot. These fish average 15-20 pounds with an occasional monster! Concurrent with the fall salmon run we find the robust steelhead fighting its way up the rivers of southern Oregon and northern California. Typically we fly-fish for these active summer run fish but at times may also use lures or bait. The Rogue River is famous for its run of "half-pounders" - steelhead that have been to the salt water but return at one year. The fish average 12-18" and are great fun on a 5-6 weight fly rod. 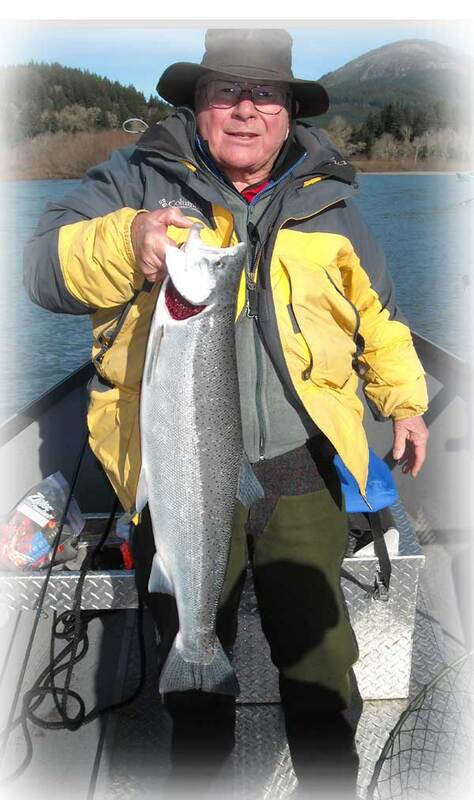 Adult steelhead are also on the move and average 3-6 pounds. The latter part of December signals the beginning of the winter steelhead run. This run continues until late March on the short coastal streams and into April inland. Steelhead are the hardest fighting fish around. Fishing in the pristine areas of the Chetco and Smith Rivers among towering Redwoods and fragrant Myrtlewood trees adds to the enjoyment of the day. It is difficult to concentrate at times with the beauty of the wilderness so close. 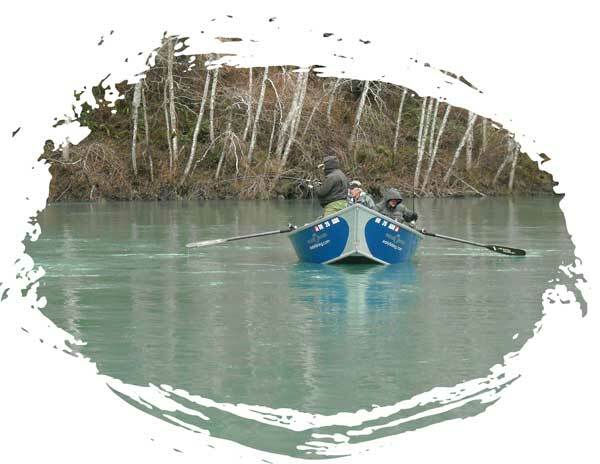 Drift boats equipped with heaters and comfortable seats traverse the waters and navigate rapids to our final destination.